is not responsible for any other content on this site. I’m excited to announce that I’ve partnered with My Skin Matters, a fearless movement for people with skin conditions. It’s a movement that helps people with skin conditions move out of a place of fear and isolation to a community of loving, caring, empathic individuals who unite in their struggles. It’s a place where people with skin conditions no longer have to feel alone. I didn’t realize there are so many people I know who are dealing with psoriasis or other skin conditions and living in isolation, like I once did. It wasn’t until I shared my story that others found the courage to share their own. 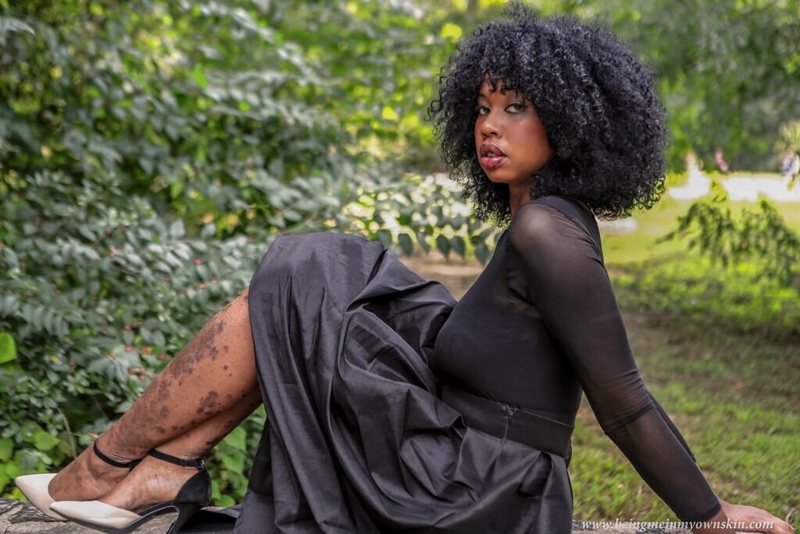 My journey began when I was diagnosed with plaque psoriasis. Up until 4 years ago, my body was covered with psoriasis. Although my condition has recently improved, I continue to struggle with the ups, downs, and unpredictability of living with this disease. For the majority of my life, I hid my psoriasis and lived in a secluded, isolated place called fear. I felt embarrassed, ashamed, and had low self-esteem that resided deep down in the depths of my soul. It was a place I hated but learned to accept. Due to my personal shame, I hardly invited anyone into my life; I kept everyone at the front door and refused to invite them in. I just didn’t want them to see how I was truly living. I was afraid of being judged, misunderstood, or rejected. In 2011, I came face-to-face with a different me. 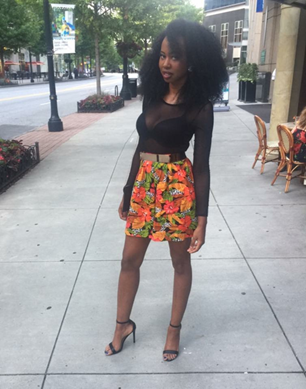 A strong, regal, confident me… A “me” I was unfamiliar with and had never encountered before. I grew tired of dwelling in this place of hopelessness caused by my condition, so I decided to take a stand. 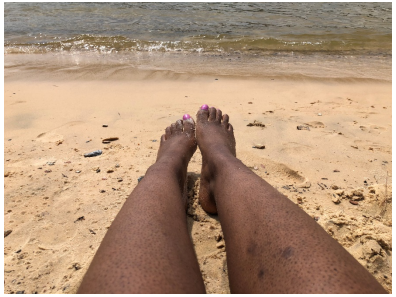 I created a letter about why I would no longer allow myself to self-hate, be discouraged, have doubt, or feel anxious or inadequate about living with my psoriasis. Through this letter I found a new me—the old me, who hated who I was, feared being unlovable, and resisted speaking about my condition, slowly disappeared. Through this change in my disease mentality, a better me was given life and birthed into this world—a me who learned to love myself unconditionally, despite my flaws. If you feel the need to hide or be embarrassed of your skin condition, the My Skin Matters movement can provide you a place of refuge and help you grow your confidence to start living more positively. I hope my story and other stories of this movement encourage you to live your best life. Remember, your skin condition doesn’t define you! One of the first ways I overcame feeling like a victim was by joining a community of people who made me feel loved. I no longer feel alone or incapable of living a quality life, thanks to communities like My Skin Matters. I found the support I needed to break free from the stigma that accompanies a visible skin disease.